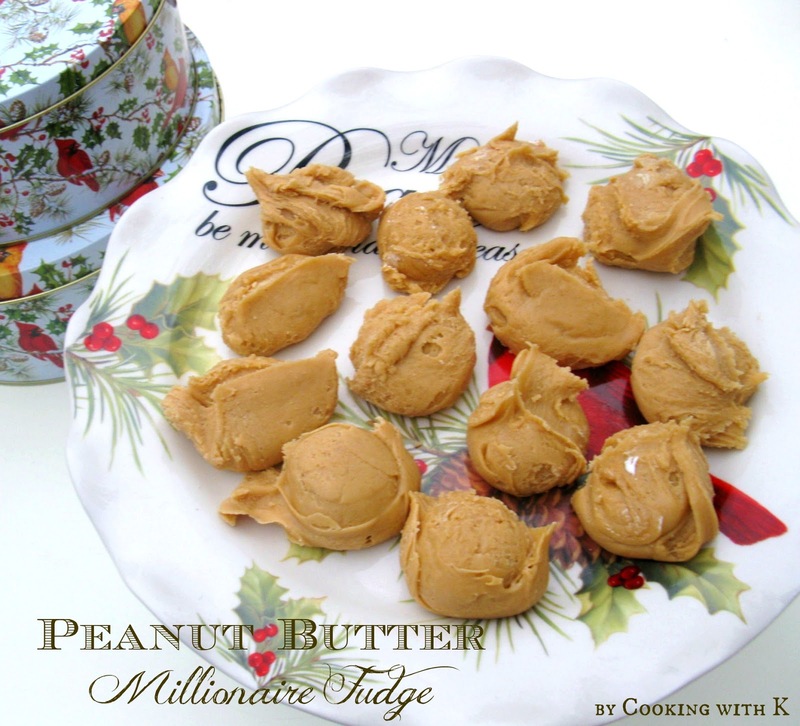 Probably, the best kept secret about making my Peanut Butter Millionaire Fudge is what I use for the peanut butter flavor. Get ready---here it is! Reese's Peanut Butter Chips--Wha la! So simple and no measuring. Just open the bags and pour them in the bowl....Super easy! To reach a "foolproof" fudge recipe, Mamie Eisenhower introduced the wonderful ingredient of marshmallow creme. This was the first time that a candy thermometer was not needed to make fudge. She transformed the skepticism of making fudge for so many. Today there is no reason to stand at your stove and check for a soft ball stage and wonder if you are going to have a terrific batch of fudge when you get through making it. So go ahead and get in the kitchen and make some fudge! I use my Millionaire Fudge recipe and substituted the semi-sweet chocolate chips for the Reese's peanut butter chips. 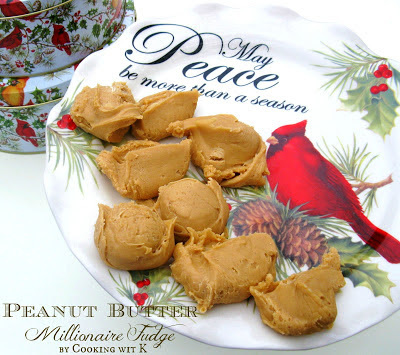 I have been making this for the last few years and it is my favorite Peanut Butter Fudge recipe. It is easy. It is decadent and delicious. It is not only festive, but it is a great treat to go in my Christmas Boxes! Lay a long row of waxed paper on the counter for when fudge is spooned out of the pan. In a mixing bowl of an electric stand mixer using the paddle attachment, add the peanut butter chips and marshmallow whip; set aside. In a heavy large saucepan, add sugar, milk and butter; bring to boil. Boil for 6 minutes, stirring constantly. Take off heat and pour mixture over the peanut butter chips and marshmallow whip; beating on medium speed until mixture is creamy and smooth. Be sure not to over beat. The mixture will set up as it cools. Using a small ice cream scoop, scoop fudge and lay on prepared waxed paper. Continue until all the fudge has been scooped out of the pan. Cool completely before moving them to a container. Note: I have made it with 3 (10 oz.) bags of Reese's and it works well. It is what I had on had. OOOOO - I'm addicted to peanut butter fudge. Yours looks awesome. 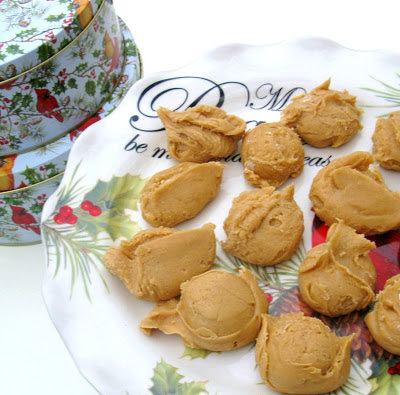 I just made a batch of my Nutterbutter Fudge today - microwaved! Our mothers wouldn't believe the ease of making fudge nowadays huh? MMM good - what a special holiday treat! Hi Kay, These look amazing!! I love peanut butter soooo much and recently used the Reeses PB chips in my Oreo stuffed PB chip cookies. We don't actually get the PB chips here in the UK, I so wish we did as I totally loved the flavour and would totally make this fudge too. You can't go wrong with PB and marshmallow fluff/creme. What a combo.. wow! Wow the dessert looks so yummy! Thanks for the recipe! I love fudge in any form or fashion! This looks incredible- it will be the next fudge I make! :) Thank you!